Providing a safe space for small children to safely navigate big feelings is important. When students are feeling overwhelmed by their emotions, they often need space to be alone. In a classroom environment that can be hard, because space is limited. We need to understand the necessity for this space and plan our room set-up accordingly. This is what our safe space looks like in our classroom. We call it “Australia,” based on the book Alexander and the Terrible, Horrible, No Good, Very Bad Day by Judith Viorst, which I read on the first day of school every year. If you’re not familiar with the story, Alexander has a rough day. He gets gum in his hair, trips over a skateboard, doesn’t find a prize in his cereal like his brothers, his lunch is missing dessert, and it just keeps getting worse as the day goes on. Throughout the book, Alexander shares his frustrations by saying “I want to move to Australia,” (e.g. as far away as he can possibly get). I introduce this space on the very first day of school. We discuss that there will be times when we feel overwhelmed by our feelings and we need a place to go. We need that place to give us privacy while we work through our feelings (nobody needs to add embarrassment to the big feelings they are already experiencing!) You can seriously SEE the relief on student’s faces when they realize that this space exists for them. It’s incredible to witness. 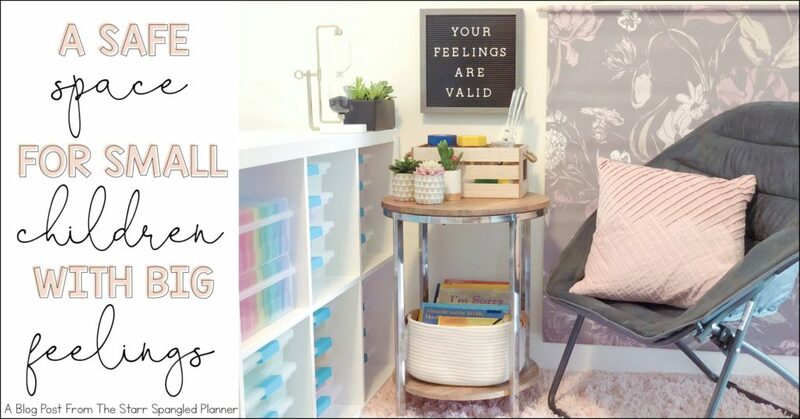 This safe space is ideally created in a corner or nook in your classroom (this can be an actual corner or one created by strategically setting up furniture. (One year, I had such limited space, I actually made it under my desk!) This is important because students need privacy in order to feel that it is a safe space. If other students can easily see them, they will not use the space. This does not mean that it has to be closed off where YOU cannot see the student and ensure they are safe. It just means that students sitting at their tables/desks, or at meeting should not be in view. 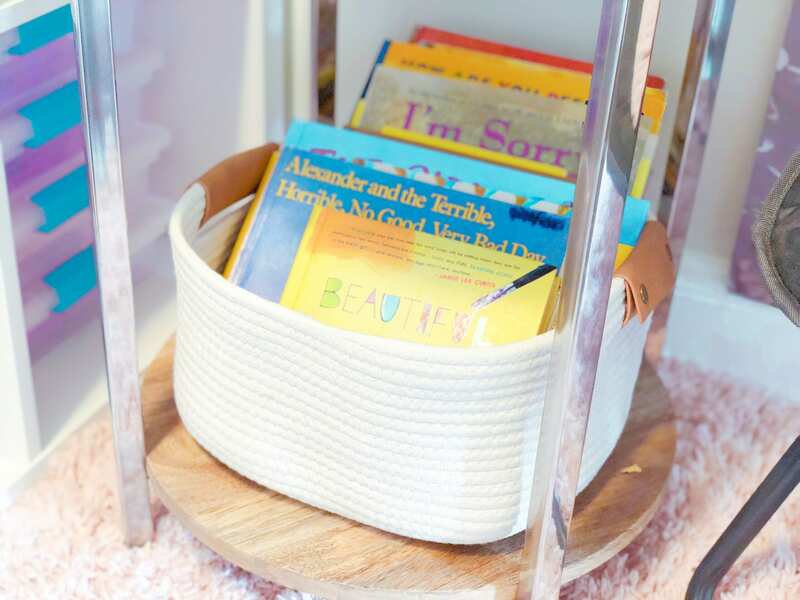 A small book display or low shelf can provide plenty of cover while still letting you see over the top and make sure they are safely processing their feelings. Bubble Wands- These are great for students to turn over and practice breathing in and out as the glitter falls slowly to the bottom. Sand Timers- These are great both to help students be mindful of the amount of time they have spent in Australia, but it’s also calming to watch the sand travel from one end of the timer to the other. 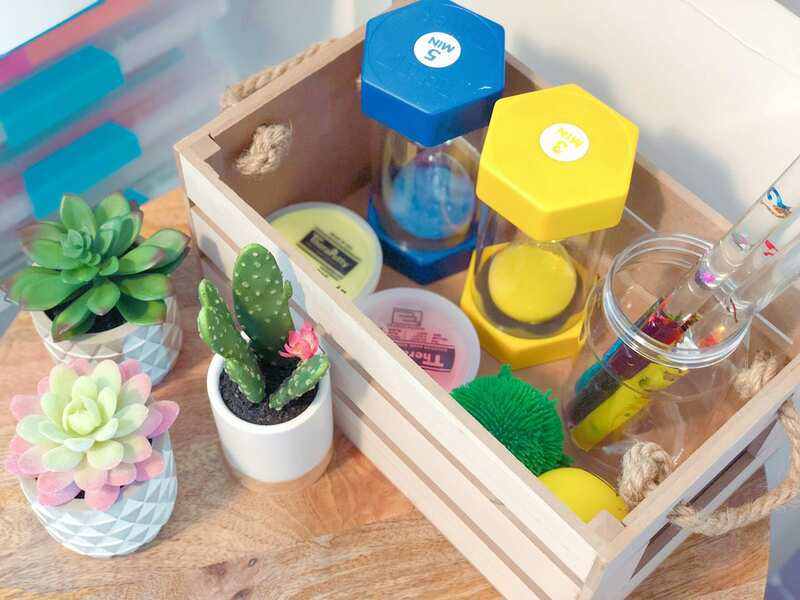 Squeeze Toys/Thera Putty- These are especially helpful for students working through frustration. Some hard squeezes while they watch the sand can prove very useful! Calming poster/photo- Having a calming backdrop as a focal point can really help create a calming atmosphere within the chaos of a classroom. My students like to look at it while they practice their breathing techniques, or as they process their feelings. Books- Picture books that reflect a wide variety of emotions your students may be feeling is amazing. Connecting through literature can be an incredibly powerful tool, and students often work through their feelings along with the character. This is SO IMPORTANT! After reading Alexander and the Terrible, Horrible, No Good, Very Bad Day, and introduced “Australia,” I make sure to go over the expectations of the space. We discuss WHEN students can use it (when their feelings are too big and it affecting their ability to participate in the group). We also discuss WHAT they can do in that space to help them feel better. (We create a list of strategies together which I later type up and leave in the “tool box”). To give students a chance to practice how to use the space appropriately. I have had several classrooms in different schools over the past ten years, but I have had an “Australia” in EVERY SINGLE ONE. 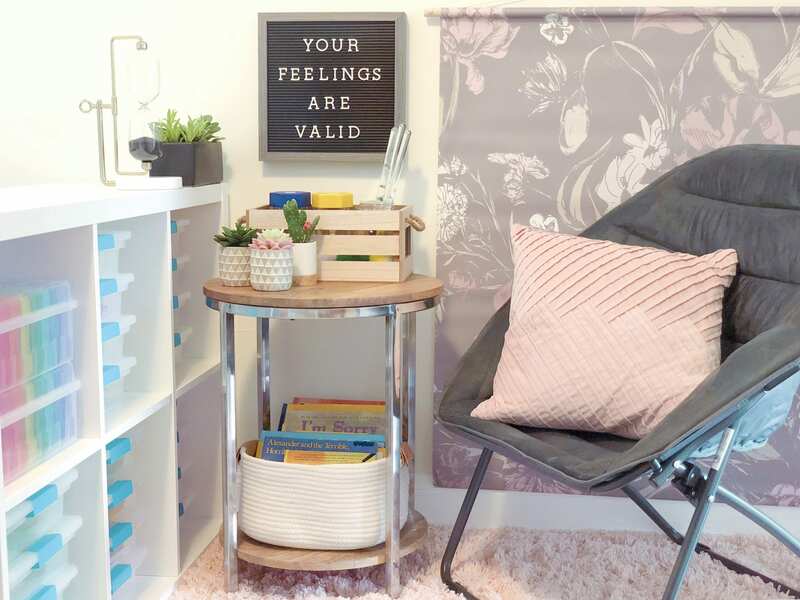 It is one of the most important spaces in my classroom, because my students know that their feelings are valid, and there is a safe place for them to go when they are feeling overwhelmed by those feelings. 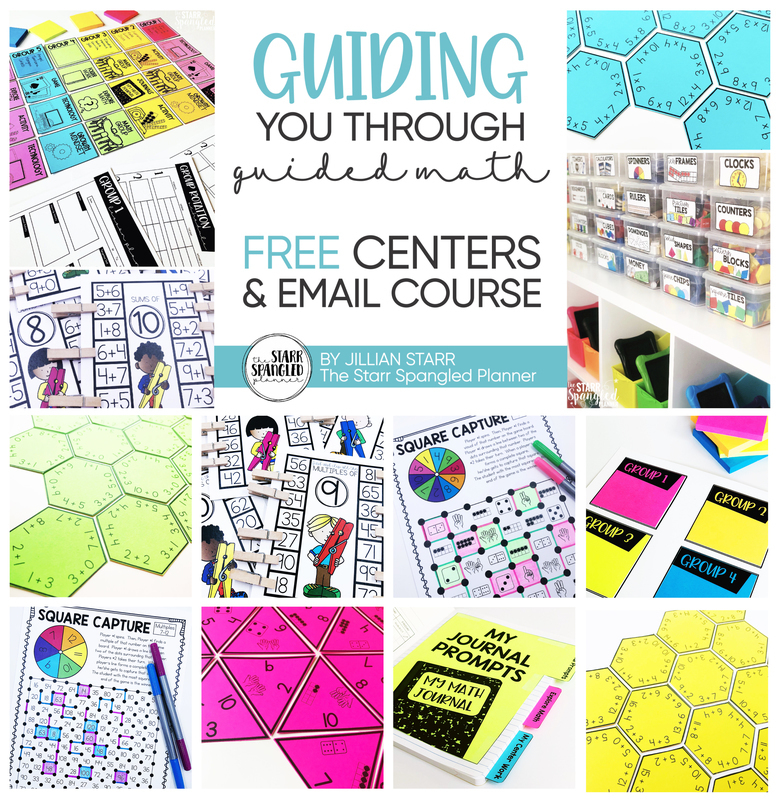 If you need any help, or have questions about creating a similar space in your classroom, I would love to help! Just leave a comment, and I’ll be happy to problem-solve with you! Hello!! My name is Christina and I am going into my first year of 4th/5th combo! I stumbled on your post and LOVE Australia. Such an amazing idea, and I definitely want to implement it! In the post you noted you discussed with your kids when they are able to use the space throughout the day. Can you explain a bit more about the rules of Australia?